If you have an Instagram account, you’ve likely seen or heard of LIKEtoKNOW.it by now. If you haven’t, I’m going to tell you all about it! LIKEtoKNOW.it launched a few years ago as a convenient way for you (my readers!) to easily shop my Instagram content. 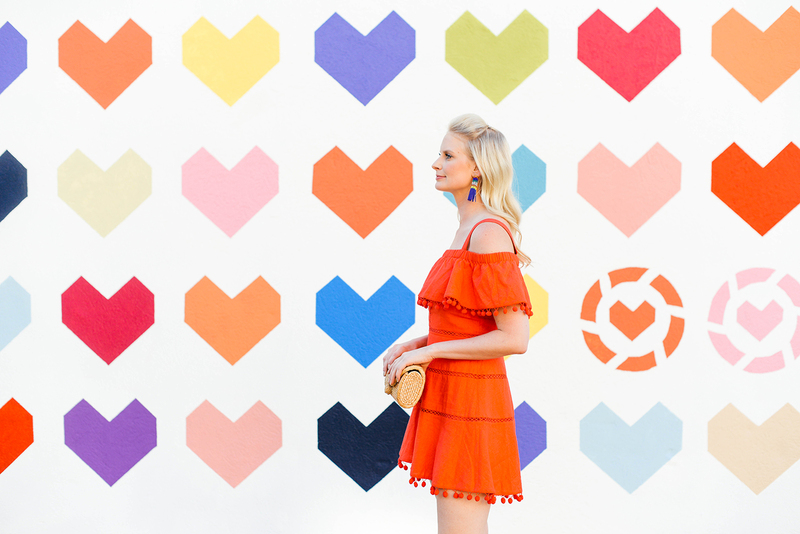 All you had to do was sign up with your email at LIKEtoKNOW.it/merrittbeck (once), and then each time you “like” one of my photos featuring the #liketkit hashtag, my outfit details would get sent straight to your email inbox. 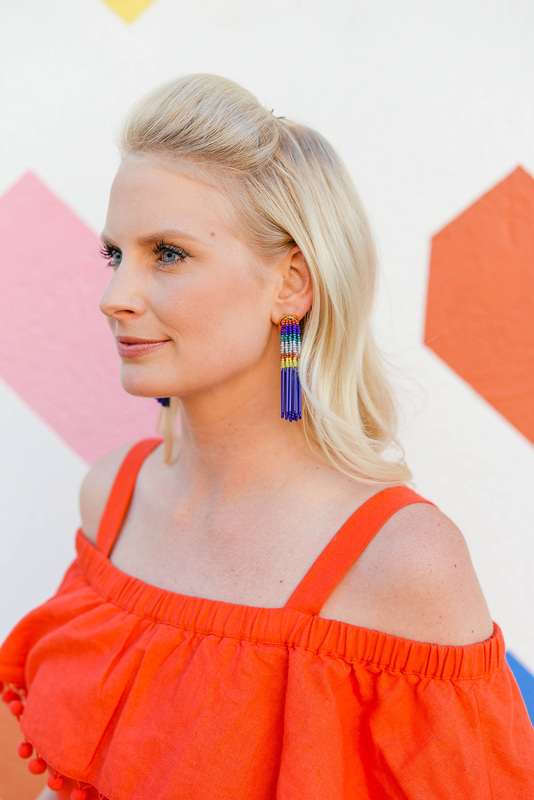 You could also always find my recent Instagram outfit details on my profile page! icon is screenshot-enabled! The app also saves your screenshots, so you can go back later to see what you’ve saved and shop! For those of you who get bothered by a bunch of emails, this app is for you! Instead of shooting you an email, all of my outfit details will be available on the app for you to shop. All you have to do is take a screenshot! It’s so easy. PS – today is the last day to get up to 25% off your entire order at Shopbop! Spend up to $500 and receive 20% off, or spend over $500 and get 25% off! 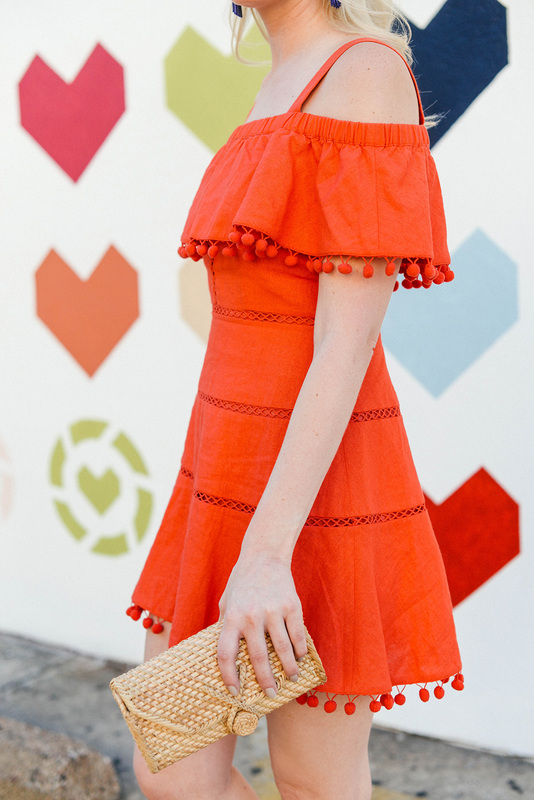 This cutie pom pom dress is part of the sale… just sayin’. Just enter code EVENT17 at checkout. This dress is perfect color on you Merritt! That dress is gorgeous on you! I love the color! This dress is seriously stunning. Love the bold colour. Simply gorgeous.